I cannot wait for the third installment!! Normally I like to release just after midnight, but this release was delayed several hours as the power supply on my computer decided I wasn't stressed enough and promptly exploded (literally, there was a pop, a flash of fire, and smoke to add to the excitement.) mid-upload to KDP. I had to wait for a decent hour before I could take a thumb drive over to my sister's to finish publishing. I really enjoyed reading the first 3 books in the "Captured by the Elf King" series! I'm a major fan of J.R.R. Tolkien's "Lord of the Rings" series, especially his elves, and most especially Legolas. Sethian reminds me of him, which is MOST satisfying. Can't wait to read the 4th book next week! Will buy it from Amazon the moment it's available! Ready for the fourth book! Went on Amazon this morning to purchase and it wasn't there yet. Hi Cimone. Part Four has already been submitted for publication to Amazon since midnight this morning and is now currently stuck in KDP processing limbo. Normally it doesn't take this long to go live in their store, but they do say it can take up to 24-48 hours to publish. It just has never happened to me yet, and I hope that won't be the case today. If you are signed up to my mailing list, you will receive an email the moment the book is available for purchase. If not, just keep checking this blog. I will update when it becomes available. Thanks for the update! Can't wait to read it! I do not usually post on any web sites or give reviews. However I really enjoyed your books Claimed by the Elven King. I just stumble on to the first one and could not put them down!! I love the story line and really cared about the characters. You have done a great job and I hope there are more to come from this world. I do not care for series books. I usually wait to start them until they are all out so I am really glad you made book four the final, just my option. Keep the great stories coming I plan on reading everything you write!! Thanks for the lovely comments. I'm glad you enjoyed the read! Yes, Fate is scheduled for release today, but Amazon has been incredibly slow lately with uploading releases. Some authors have been reporting up to 24-hour delays, so I don't expect it to go live until sometime this evening at the earliest. I will be watching it closely all day and will keep everyone updated by both my newsletter and blog. Thank you Cristina. I'm in love with your stories and can't wait to get the next book. Keep writing them and I'll keep reading. Hi Sabrina. Thanks for reading and your support! 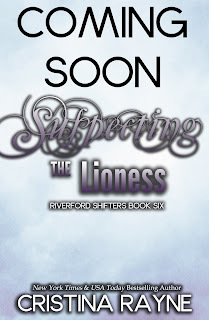 I don't have an exact release date yet for #3 as they are dependent on my editor's schedule, but it will likely be sometime at the end of next month. Hi. Glad you're enjoying the series so far. I'll probably have a new book in my elven series involving Thaylan ready for publication this fall after I complete several other novels currently in the works. Loved readings all of Riverford Shifters, I couldn't put the books down however there are unanswered questions. What happened to Kylies parents? 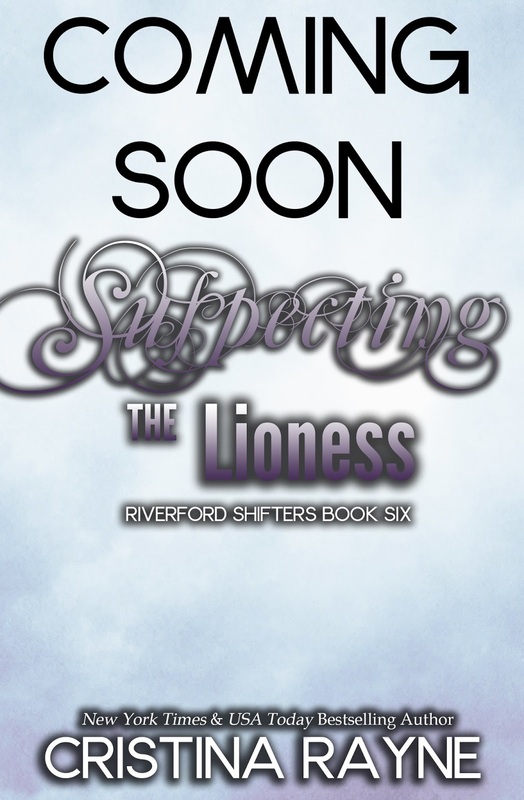 What does Molly think, will she keep the shifters secret? What happened to Karen and Mitch? Please say there will be a follow up ? Tempted by the Jaguar is only the first book, part of a continuing series. Book 2, "Tempted by the Tiger," will be published this fall and continues the story but with Maxim as its central character. I will also be releasing this Friday "Rescued? by the Wolf," a novella originally published as part of a boxed set that can be read as a standalone or chronologically after Book 1. I second these questions, will there be more after book 4, cause there is a lot left hanging. Thank you.. I am a new fan and look forward to reading all your books ! The book was delayed a bit due to back and forths with my editor. I'm hoping the book will go live on at least Amazon, iBooks, Kobo, and Google Play by Mon Mar 14. I'll post an update on this website, my Facebook Author page, and in a newsletter announcement the moment it becomes available for purchase. Thanks for the support, and sorry for the confusion!